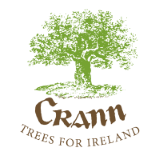 Crann, the ‘Trees for Ireland’ charity, applauds the call by Catriona Lawlor [see Letters, 26th March 2014 http://www.irishtimes.com/debate/letters/benefits-of-a-programme-of-afforestation-1.1737858] for greater afforestation in Ireland with just one suggested addition. This is, that forests with high recreational usage should not be clear felled at any stage, but left to develop to maturity over the next century or two followed by continuous cover management. This change would both create an extra carbon sink for our emissions and be better for the health of those using the forest for recreation. We know about the health advantage of avoiding clear felling through a scientific study in the USA published last year which showed a substantial excess of deaths in counties where extensive clear felling had been necessary due to a tree disease. In the affected States the excess deaths totalled 21,000 – see: http://www.ncbi.nlm.nih.gov/pubmed/23332329 for an abstract of this study.